Enter: Elizabeth.Wife of Zechariah.No children.Old.In the culture of the day, barrenness was not exactly esteemed. The thick Jewish traditions that surrounded Elizabeth and Zechariah must have been some of the hardest parts of their lives. Customs, festivals and holidays all involved celebrating with family. Yet they had no children. Year after year, they attended the temple and gathered with family. Yet they had no offspring to pass on their faith. The privilege of giving away your name and inheritance was also a rich part of the history of the Jewish culture. Yet, they had no one to give it to.Was this heartache all a part of God’s plans?Oh, the privilege we have to be on this side of history! We know the rest of the story. Elizabeth and Zechariah (in their old age) gave birth to John, the one who would baptize Jesus for the beginning of His public ministry.Do you wonder how that “hard thing” could ever be used by the Lord?Luke 1:58 states, “And her neighbors and relatives heard that the Lord had shown great mercy to her and they rejoiced with her.”From this one verse we learn several things about Elizabeth. She was known by her neighbors and relatives. The relatives, of course, would know her. But her neighbors? Does this actually imply that she shared her “life” with those whom lived right next door? How many neighbors walked the road with her when she struggled with not having children? Elizabeth gave praise to God and everyone knew it. The news spread quickly. The Lord had shown great mercy to her. Elizabeth walked with God. Not only in the good times, but also in the hard times. Through all of life’s struggles and heartaches she still was a woman of faith. The trials pushed her towards the Lord. She kept her eyes heavenward even though she didn’t understand. Her neighbors rejoiced with her. The news was supernatural. Elizabeth had a baby and she was old! Time for a party. Time to come together. She and Zechariah called for the neighbors to come and give praise to God.Let’s consider these thoughts for ourselves. Are we known by our neighbors? Do they know we struggle? Of course we do not need to divulge all of our lives to everyone around us. But do we allow our neighbors to walk next to us in hard things? Do you share “life” with those who live right next door? Are you a “safe person” for your neighbors to confide in? Do we give praise to the Lord in the good and hard things? Are we known to walk with our God in the struggles and heartaches? Are we known as people of faith? Would our neighbors even care? If there is something to celebrate in our hard messes, would we want our neighbors to come? Would we want them to join with us in giving praise to the Lord?Go ahead and read all of Luke 1. Don’t read it like it’s part of the Christmas story. Read it and look for references to being a part of a caring community focused on drawing others to look to Jesus. My guess is, like me, you will see that God’s plans include that we share life with those right around us.How about your neighborhood? Are you known by your neighbors? Are they known by you? Go ahead … start a neighborhood Bible study and allow God's plans to include your messes. 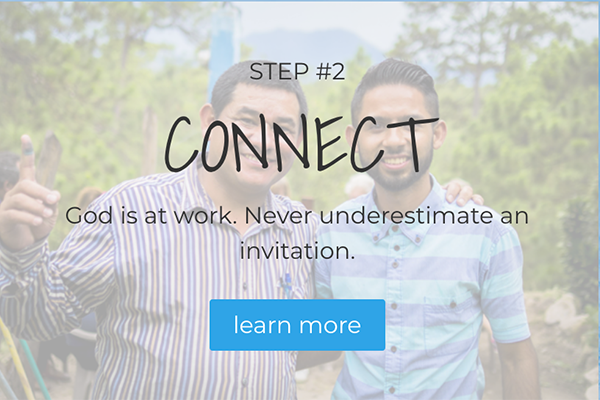 We have all the simple tips and tools you need to get started, and we would love to pray for you, too! Contact us and let us know!Find more Fresh Stories here!Joan Parsons, lover of McDonald’s cokes, is happiest when her home is filled with her husband and four children. She reports that her two college age boys come home whenever she offers to cook steak. Her only claim to fame is the week she got every piece of clothing laundered and matched all 126 socks. She had a dream when she was in college that Jesus returned to gather up the Christians to go to Heaven. Except one of her roommates asked her why she never told her about God. She woke from the dream with a lifelong desire to share with others the amazing news of God’s love and forgiveness. Late last summer while turning into the entrance to our neighborhood, I had a fleeting feeling of guilt for not showing a desire to know my neighbors better. After all, I have lived here for 10 years, and I couldn’t tell you much about most of my neighbors. But I quickly turned to thoughts of all the difficult things that my family has faced the last 10 years, the time spent helping with grandchildren and, of course, all the time spent in the Apples of Gold ministry. Did I mention that I am not so young anymore? So I pulled into my driveway, drove into the garage and put the door down.Inspiration ArrivesSoon after that, I received an email from Susan Sorenson about a woman from Georgia that she wanted the Women’s Advisory Committee to meet. So I invited everyone for a meal at my house to meet her. And so begins the story of how God has been revealing my newest assignment.Everyone around my table that night was struck by the passion for neighborhood Bible studies that flowed from the heart of Debbie McGoldrick. We were convicted and filled with excitement at the same time. Debbie talked about intentionally praying for, caring for and sharing Jesus with neighbors. We agreed that we had not been intentional about taking action in our neighborhoods.Debbie shared how she prayer-walked her street, asking God to show her the “lost treasure” in her neighborhood. She prayed that God would release His word and let it run like a river in her neighborhood. She talked about looking for the houses with “for sale” signs and actually placing her foot on those driveways, asking God to bring believers or seekers into the neighborhood and keep evil out.The next morning, as I was driving out of my neighborhood, I saw two brand new “for sale” signs on my street. I knew right away that God had something to say to me because we seldom see these signs in our subdivision. I went to the NBS2Go website (Debbie’s website filled with free resources for neighborhood Bible studies) and found suggestions for what to pray. I would love to say that I immediately began my prayer walks. Instead, I found every reason imaginable to procrastinate. Finally, one afternoon I told myself, “That is it. I am walking right now.” And I did.When I placed my foot on the driveways of my neighbors I claimed the property for Jesus (at the same time hoping they didn’t have some kind of fancy alarm that alerted them to someone on their driveway). I prayed for the families in each house on our street. I prayed that God’s presence would be seen and felt in our neighborhood. I asked God to give me a love for my neighbors that could only come from Him. I am sure some of my neighbors wondered over dinner why that Cebulski woman was walking up and down the street talking to herself.I spent the next couple of months asking God to show me the next thing to do in my neighborhood. At this point, I knew that I was being called to start a Bible study, but I didn’t know how to get from point A to point Z. I am good at planning, organizing and entertaining, but I was being stymied by feelings of intimidation at the thought of the assignment God was revealing to me. I struggled with the responsibility of it all.Hosting a Christmas DessertAs Christmas approached, I felt a nudge in my heart to do something to bring the women of the neighborhood together. Was this the next thing, Lord? The idea of a Christmas dessert came to mind. So I set the date and mailed 42 invitations. To my surprise, half the women in the neighborhood came that night, despite the busy holiday season. They came through the door with hugs and expressions of gratitude for bringing them together. Hours later, the last guest left. Many shared the same sentiment: “We need to do this more often.”I was flying high after that wonderful night. Clearly there were many in the neighborhood who were hurting. They were even quick to share it at the Christmas dessert. It was so evident that many needed the relationships. But it didn’t take long for me to go back to the valley of doubt and fear. If I suggested a Bible study would I suddenly become the “religious radical” on the block? Would our relationships return to waves from car windows as we passed on the street? What if the needy started knocking on my door? After all, with all that I have on my plate right now I don’t have much free time as it is. Am I really the right person for this, Lord?Through Scripture passages brought to me during my time of devotions and encouraging stories posted on the NBS2Go website, I realized again that all God was asking me to do was to be obedient to do the next thing. It came down to a yes or no. Either I believed God had the power to carry out His plan, or I did not. So I stopped trying to plan things out in my mind and went back to asking God to reveal “the next thing” and His plan for my assignment.God's Mercy RevealedThe “next thing” was finding out that a neighbor’s young son was diagnosed with a very rare cancer. I contacted the neighbor and asked if I could host a prayer brunch for her with anyone in the neighborhood she would like to invite. She loved the idea. The prayer brunch was a precious time around my table with seven women who surprised me by their strong faith and love of Jesus. 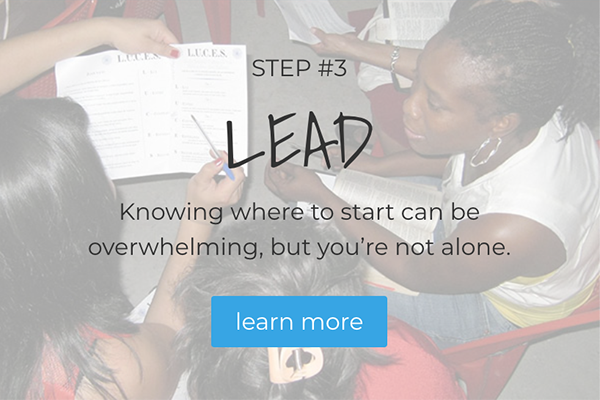 I realized that God was revealing the core group of women who could support a neighborhood Bible study. God used a crisis to bring us together. I witnessed the great mercy and love of God as together we cried and prayed and cried some more. My faith grew on that special morning, and I praised God for it.I knew that the “next thing” was to send out invitations for a Bible study. I was certain I needed to do it the very next day. But God has a way of directing and leading by placing obstacles in our lives and for a few months, a crisis in our family did just that. As summer approached, God once again used Scripture and sermons to challenge me to focus on my assignment and not my problems. I thought of Paul, who while in prison asked Christians to pray for him to be able to proclaim the Gospel. So I set the date for an Introduction to Neighborhood Bible Study event and printed the invitations.Obedience Brings FreedomAs I drove around the neighborhood distributing the invitations, I was once again the woman behind the wheel talking to myself and wrestling with God. There were a few houses where I hesitated because I already knew the prevailing attitude at the home. But there was a not-so-quiet voice in my heart that insisted an invitation go to every home. So I obeyed. And then I waited for the responses.The first two responses came from the two women I least expected would come. My dread of rejection lessened and faith in the power of the Holy Spirit began to prevail. Within hours of the invitation going out, I received 16 responses. That was more than a third of the neighborhood. Wow! And my meager faith was hoping for just five. At that point I began to understand that any plan I might have could not compare to the plan God had already worked out for me.God continues to teach me how to let go and just do “the next thing.” In many ways, it is very freeing. At the same time, it is not easy. God is showing me that all He expects of me is to 1) show love to my neighbors, 2) show them I love God’s Word, 3) and show them I love Jesus. He’s got the rest.At times, doubt and fear continue to creep into my heart. A couple of hours before our last meeting I found myself saying out loud to the Lord, “I don’t want to do this.” I immediatelywent to the Lord in prayer and asked Him to forgive my stubborn heart and pour out His love and power through me. When the women arrived, I found myself overflowing with joy to see them and aware of a special presence of the Lord around my table.If God Assigns You, He'll Equip YouI do not write these words as the poster child for hosting neighborhood Bible studies. I am not. But I do want to encourage any and all who feel even a small nudge from the Holy Spirit to love your neighbors better than before. Start at the beginning. Start with prayer. From there, God is able to fill your heart with a love for neighbors that could only come from Him. The end result may or may not be a neighborhood Bible study. That is for God to reveal to you. But this I do know: the outcome is not your responsibility. Obedience is your responsibility. Whatever the assignment, He will fully equip you each step of the way, and your faith and love for Him will grow. He has promised that He will always complete the good work that He began in us.I encourage you to open your heart to this good work. Don’t miss the opportunity to be part of the vision that He gave to our Women’s Ministry at Calvary. Ask God to show you “the next thing.” Then all you have to do is rely on His power to do it. You will be so glad you did.This article first appeared in the August 2015 edition of Calvary Life magazine.Find more Fresh Stories here!Pat Cebulski retired from the corporate world several years ago but not from serving the Lord in her home. Young women from the Apples of Gold class she hosts are often hanging out around her kitchen. When she is not practicing hospitality around her table, she is playing with her five treasured grandchildren. Pat leads a Neighborhood Bible Study in Grand Rapids, Mich.
During these days of a more relaxed summer schedule, we wanted to republish Debbie's post about "Coming Apart" and spending time alone with God. Enjoy!I often wonder ... what if my desire to listen to God equaled His longing to speak personally with me? Listening prayer for me is simply being still in God’s presence, anticipating His voice, recording His words, impressions, or pictures, and then responding in love, faith and obedience to what He whispers. It’s absolutely amazing — I always receive exactly what my heart is longing for — sweet companionship, fresh encouragement and specific guidance. I’m praying that this excerpt from my “Listening Journal” will encourage you to begin a practice of listening to God. –DebbieLISTEN.Mark 5:16 says, “Jesus often withdrew into the wilderness to pray.” The disciples would wake up, and He’d be gone. They knew where He was, usually on the Mount of Olives. They knew what He was doing; praying, speaking with and listening to His Father.I think it’s interesting that the disciples asked Jesus to teach them how to pray. His way of praying looked and felt different. It wasn’t like anything they had learned or experienced. They knew there was listening involved because Jesus often told them what He heard.For the past 40 years, I have enjoyed a disciplined rhythm of solitude - spending extended time alone with the Lord. This time is free-flowing but often includes worship, Bible reading, meditating and studying, journaling, praying and more recently, listening.How often I used to “pray about everything” as the passage in Philippians instructs us, without waiting to hear answers to my questions, counsel for my problems, wisdom for my decisions or guidance for my day. I have to be honest; it’s hard for me to sit still. But when I am quiet and determined to listen, I am absolutely amazed at what I hear and the intimacy it has created in my relationship with Christ.It was during a listening prayer that God taught me the principle of “Coming Apart.” On August 29, 2013, I wrote out in my Quiet Time journal a verse that stopped me in my tracks. “The apostles were at the Mount of Olives when this happened.” (Acts 1:12) I like to ask questions when I study. What is this referring to? The next verses describe Jesus’ ascension into heaven from the Mount of Olives. It was His personal place of worship, prayer and listening. At that moment I felt immediately drawn to STOP, LOOK and LISTEN.Copied from my Listening Journal is what I heard God whisper to me:Come apart, come to Me. Intentionally set aside time to be alone with Me, to worship, pray, and listen both to My written and whispered Word. Be confident and expect to ascend from this time and place, no longer limited in your heart and mind to what’s earthly and temporal. You will be set free, unleashed, to walk in My power, My will and assignments designed perfectly for you. Come apart expecting to ascend – Jesus did! If you don’t come apart, you will come apart. You will be captured and grounded by your feelings and thoughts about how incapable, unworthy and inadequate you feel you are. Whenever your eyes are on yourself, your circumstances or projected outcomes, you will be paralyzed by worry, fear, doubt and unbelief. The enemy of your soul is out to ... Kill your faith with fear and worry Steal your faith with doubt Destroy your faith with unbelief But I have come that you might have life – abundantly ... living ascended. (John 10:10) Remember My constant reminder, ‘You are not in over your head, I have personally invited you to walk on the water.’ Ascend by coming apart with Me!Yes, I hear your heart say, ‘I want to ascend from my place of coming apart with the Father, like Jesus ascended into heaven from the Mount of Olives -- the very place He came apart with His Father, our Father.’ Yes you can, and you will. My promise to you, my daughter, is as you come apart (John 15, abide in Me and My Words abide in you) you will live ascended. Do you ever feel the need to Come Apart, lest you come apart? What's stopping you from taking time to be with God? Where do you belong? Where do you fit in? These are lifelong questions that everyone on planet earth asks themselves at some point or another.Sometimes my husband and I talk about the beer “Bible studies” that happen on Friday nights in local bars. Do we really think that men study the Bible during happy hour? No, but these men know where they're welcome. They know where they can relax. They know where they belong on Friday nights.It's a simple fact of life. We all want to belong. We all want to fit in. We all want to find a place where everybody knows our name. In my neighborhood, when Wednesday morning rolls around, we have a home where we meet, where everyone is welcome. It is a safe place we can come to relax. It is a place to find community. It is the morning of our neighborhood Bible study.We greet each other with a warm, “Hello!” We ask each other, "How are you?" and we actually listen to the answer. We share in the joys of children winning spelling bees and we share in the disappointments when they don't make the baseball team. We cry together when a loved one passes away. We celebrate when there is a wedding. Most importantly we talk about Christ's immense love for us and how it has transformed our lives. He has given us life and this life is in His Son. He has given us love and we share it with one another.How about your neighborhood? Do you want a place where everybody knows your name? My guess is that everyone in your neighborhood wants a place like this too. Go ahead ... start a neighborhood Bible study! 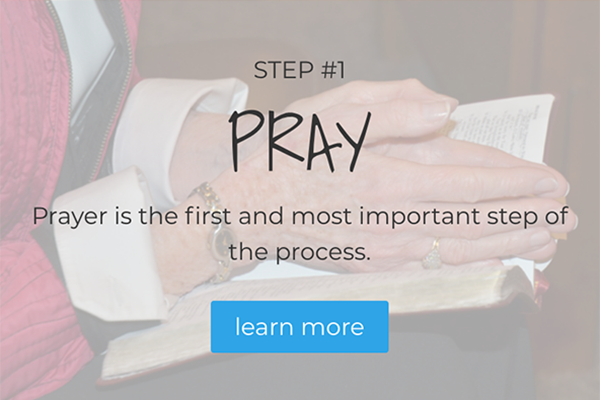 We have all the simple tips and tools you need to get started, and we would love to pray for you, too! Contact us and let us know!Find more Fresh Stories here! Joan Parsons, lover of McDonald’s cokes, is happiest when her home is filled with her husband and four children. She reports that her two college age boys come home whenever she offers to cook steak. Her only claim to fame is the week she got every piece of clothing laundered and matched all 126 socks.She had a dream when she was in college that Jesus returned to gather up the Christians to go to Heaven. Except one of her roommates asked her why she never told her about God. She woke from the dream with a lifelong desire to share with others the amazing news of God’s love and forgiveness.